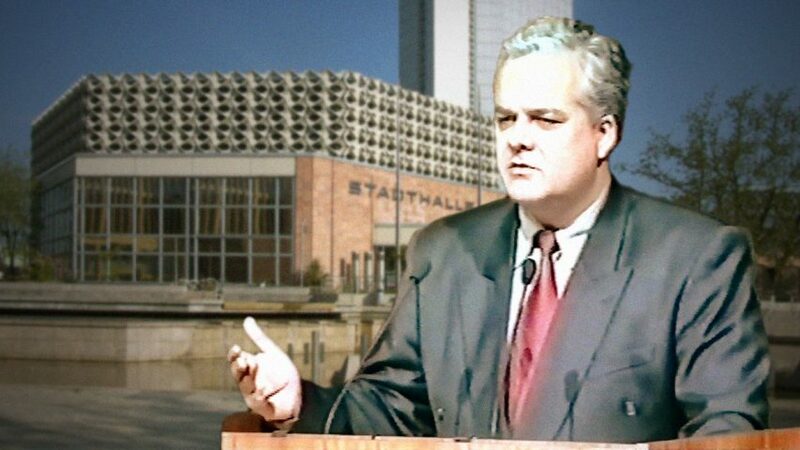 On Saturday, June 21st, 1997, Dr. Rath gave a programmatic speech at the City Hall of Chemnitz, Germany. In this speech, Dr. Rath revealed the reasons why the German government is spearheading the Codex Alimentarius Commission, an effort by an international pharmaceutical cartel to ban worldwide any health information in relation to vitamins and other natural therapies. “Only once in the history of mankind comes the moment when the breakthrough towards the control of cardiovascular disease is made. This moment is now.” This is the beginning of the proclamation for the worldwide initiative 21st Century Eradicating Heart Disease. Throughout thousands of years of recorded history, our ancestors have looked at the night sky and asked themselves about the nature of the universe and the laws that determine movement of the sun, the moon, and the stars. For thousands of years their conclusion was that the earth is the center of the universe, the sun circles around the earth, and the stars are attached to crystal shells in heaven. The daily sunrise in the East and the sunset in the West left no doubt that these were the laws governing the universe as described by the Greek astronomer Ptolemy. It changed with the life of this man Galileo Galilei. When Galileo was born in 1654, the sun circled around the earth. After he had died, it was the other way around — the earth circled around the sun. Of course, the planets did not change their course during his lifetime. What had changed was the way mankind learned to look at the universe. The scientific discoveries of Galileo Galilei terminated the medieval age in science and inaugurated what we know today as modern time. Was this groundbreaking discovery immediately welcomed? Of course not. Galileo faced life-long opposition by his colleagues, and the Roman Church banished him for heresy. Now, not even 400 years later, the American spacecraft Voyager has crossed our entire solar system. Everything Galileo discovered has been confirmed. Before Voyager left our solar system into the darkness of the universe, it turned around one last time and provided us with a fascinating view of our solar system and of Planet Earth. For the first time, a picture was taken that provided us with a unique look at ourselves and mankind's role in the universe. Planet Earth is only a small dot. New perceptions are not confined to the universe. Of particular importance are these changes in medicine, because they directly affect millions of lives. Throughout history, many other epidemics including plague, cholera, and smallpox, were the number one killers. As recently as 400 years ago, one-third of the European population fell victim to epidemics. The cause of these epidemics was well known at the time: epidemics were the curse of heaven for the sins of mankind. Everything changed 100 years ago. The French chemist Louis Pasteur discovered that infections are not a curse, but are caused by bacteria and other micro-organisms. Pasteur’s discovery paved the way for the development of vaccines and antibiotics. Was this important discovery immediately welcomed? No, of course not. His colleagues and the medical academy attacked Pasteur on the grounds that he was not a physician, but merely a chemist. When cowpox vaccines were first used to prevent deadly smallpox infections, this treatment was openly ridiculed. Nineteenth century caricatures show cows growing out of the bodies of people who had just been vaccinated with the lifesaving cowpox vaccine. It is important that we understand the following: the driving forces behind the acceptance of Pasteur’s discoveries were not his academic colleagues. People like YOU discovered that these vaccines could save their own lives and the lives of their children. They did not care about dogmas. People like you swept away the medieval times in medicine. Only 100 years later, the World Health Organization officially declared smallpox as eradicated for mankind. During the 20th century, heart attacks, strokes, and other forms of cardiovascular disease replaced infectious diseases as the leading cause of death. In all industrialized countries, cardiovascular disease has reached epidemic proportions. Today, every second woman and man dies from this epidemic, and it continues to spread on a worldwide scale. This is even more surprising considering the fact that the largest study ever conducted on Planet Earth leaves no doubt: heart attacks and strokes are not actual diseases. They are, rather, the direct consequence of long term vitamin deficiency, and they are preventable. Nature itself conducted the largest study ever, with countless study participants and over thousands of generations. One study group in this investigation comprised the entire animal kingdom, 99.9% of all living beings on Planet Earth. Animals don't get heart attacks because they produce a large amount of vitamin C in their own bodies, which stabilizes the artery walls. The second group in this giant investigation comprises six thousand million people today. Among humans, heart attacks and strokes are rampant because our body cannot produce its own vitamin C and almost none of us receives enough vitamins through our diet. The most astonishing fact about this study is that hardly anybody knows about it. Don't you think it is high time that we spread the result of this global study everywhere? Don't you think these discoveries are much more relevant to everyone than those made 400 years ago, saying that the earth circles the sun? This is also the reason that my new book is entitled Why Animals Don’t Get Heart Attacks — But People Do. The answer to this question literally concerns every human being in your town. I urge you to help spread this lifesaving information. Why animals don't get heart attacks is summarized in the following figure: Cardiovascular disease is an early form of scurvy. The left column shows how the artery walls of animals are stabilized by an optimum production of elastin and collagen molecules. The more vitamin C there is, the more stable and resistant the artery walls are. The right column shows the other extreme: the sailor’s disease, scurvy. During long sea journeys sailors of earlier centuries died within a few months from massive internal and external bleeding. Their bodies did not produce vitamin C, and diet contained hardly any vitamins. The cause of cardiovascular disease lies right in the middle. We all get a small amount of vitamins in our daily diet, so that open scurvy is rare. However, the vitamin intake from our diet is not sufficient to stabilize the artery walls as in the case with the vitamin C producing animals. Over decades, millions of small cracks and lesions develop at the inner surface of the artery walls. When the surface of the artery walls has become brittle, cholesterol and other repair factors, particularly the sticky lipoprotein-a, enter the artery walls. The connection between scurvy, vitamin C deficiency and cardiovascular disease is no exception. We were able to show our patients that it is not only possible to prevent the further growth of atherosclerotic deposits; we also showed that cardiovascular disease can be reversed without bypass surgery and angioplasty. For this therapy, the amino acids lysine and proline play a particular role. They form a Teflon layer for the artery walls and release the fat particles that are already attached inside the artery walls. Existing deposits are dissolved naturally. Besides fat particles, advanced atherosclerotic deposits also contain calcium molecules. These calcium molecules are so characteristic that they gave the disease athero-“sclerosis” its name. These calcium molecules can also be released in a natural way, as documented in our clinical study. The most important vitamin that optimizes calcium metabolism is vitamin D. Make sure that your daily diet contains an optimum amount of vitamin D.
At age 30, every second young person has already developed early atherosclerosis in their coronary arteries. This disease develops over many years without our knowing it, and if nothing is done, this process will sooner or later lead to a heart attack. Our goal was to develop a natural therapy to stop this dangerous process in its early stages. We knew that if we were successful in halting atherosclerosis, we would ultimately prevent the occurrence of heart attacks, and the eradication of heart disease would become reality. The natural health program that we developed is composed of vitamins, amino acids, minerals and trace elements, and it has become the world's leading cardiovascular health program. The following clinical study took us a further step on this way. We tested our vitamin program in a clinical study with 55 patients with different grades of coronary heart disease. To measure the degree of coronary artery deposits we used the most advanced diagnostic technology in the world, Ultrafast Computed Tomography, the so-called mammogram of the heart. The computer automatically measured the size of the deposits within the arteries by multiplying the area and the density of the deposits. From these data the coronary sclerosis factor was obtained. The larger this sclerosis factor was, the more advanced the coronary artery disease. Because of its significance for the health of every human being, I have documented this study in my new book, Why Animals Don’t Get Heart Attacks. The most important study results are the following: First, we evaluated how fast the atherosclerotic deposits develop in coronary heart disease patients without any vitamin therapy. Every year the coronary deposits increase by 44% on average. Thus, without any vitamin therapy, the deposits increased at an accelerated speed, every year they increased by half of their previous size. Untreated coronary atherosclerosis does not develop gradually towards a heart attack, but at an accelerated speed. This is the first time that the actual growth rate of coronary sclerosis has been measured. Subsequently, the patients started with our vitamin program. Under this therapy the development was reversed, and the growth rate of coronary deposits substantially decreased. For patients with early coronary heart disease the process could be stopped within one year. This study also confirms that the natural reversal of coronary sclerosis is possible and that, in the future, bypass surgery and angioplasty will be the exception. We now also know that the worldwide cardiovascular epidemic can be controlled at a fraction of the previous cost. However, the most important fact is, that this medical breakthrough can be used immediately by millions of people worldwide. The application of these findings will lead to a significant reduction of heart attacks and strokes and, to their eradication. While heart attacks and strokes have decreased by 50% in the U.S., people continue to die like flies from this epidemic in Europe and other parts of the world. In Western Europe, the frequency of heart attacks has remained high constantly, while the frequency of heart attacks and strokes in eastern European countries still increases. Our study also provides an explanation for this phenomenon: every second person in America takes vitamins on a regular basis. In Europe fewer than 5% do. Once again, mankind is urged to liberate itself from another disease that has taken the lives of millions of people and brought on indescribable misery over this planet. The only obstacle that we still have to overcome is the resistance by the pharmaceutical corporations. With the continuation of cardiovascular disease, the pharmaceutical industry is making billions of dollars every year. With the eradication of cardiovascular disease, this billion-dollar market is going to collapse. To assure the continuation of this billion dollar pharmaceutical market, the German and international pharmaceutical corporations have formed a worldwide cartel. They gave this cartel the Latin code name “Codex Alimentarius.” The purpose of this Codex Cartel is to bring about international legislation to ban the distribution of lifesaving health information in relation to vitamins. The foundation of this new understanding is Cellular Medicine, a health principle that everyone can understand and use. Health and disease are determined at the level of millions of body cells. The most frequent cause of malfunction of these cells is insufficiency of bioenergy. Like the motor of your car with too little oil, millions of cells in our body are running dry of essential bioenergy. The most important energy carriers that we get from our diet are vitamins, minerals, certain amino acids, and trace elements. Cardiovascular diseases are particularly frequent because this organ system is subject to high mechanical demands due to the continuous pumping function of the heart and blood circulation. An optimum daily supplementation of vitamins and other essential bioenergy compounds can effectively prevent not only cardiovascular diseases, but also other chronic diseases. In a similar way the causes of the most common diseases, like high blood pressure, heart failure, and irregular heartbeat are no longer a secret. They are the immediate results of long-term deficiency of our body cells of vitamins and other essential nutrients. During the next decade the competent application of Cellular Medicine will cut down the most common diseases to a fraction of their current numbers. A comparison with conventional medicine underscores why Cellular Medicine is the medicine of the future: in the treatment of coronary heart disease conventional medicine today essentially offers mechanical solutions which are unable to correct the underlying problem. The deposits in the coronary arteries are either squeezed flat by means of a balloon catheter, or detoured by means of bypass surgery. The earlier picture also shows how important it is to stop the lie and deception campaign that vitamins and other natural substances are a way back to medieval times. Quite the opposite is true: vitamin therapy and Cellular Medicine are the prevention and basic therapies of the future. Think about the comparison in this picture. Isn't it impressive how our thinking has been manipulated in such a way that we accept expensive and dangerous repair intervention in our body? At the same time, we allow the pharmaceutical industry and their PR and lobby groups to spread lies about alleged side effects of natural substances and publicly question the documented healing power. We also have to recognize that this dependency is the precondition for a billion-dollar business feeding on existing diseases. An effective health care reform start with us, the people, freeing ourselves from these dependencies. Vitamin research and Cellular Medicine enable everyone to take responsibility for their own health and lives to an extent unknown up to now. Modern Cellular Medicine is a logical and convincing way out of this deadlock. 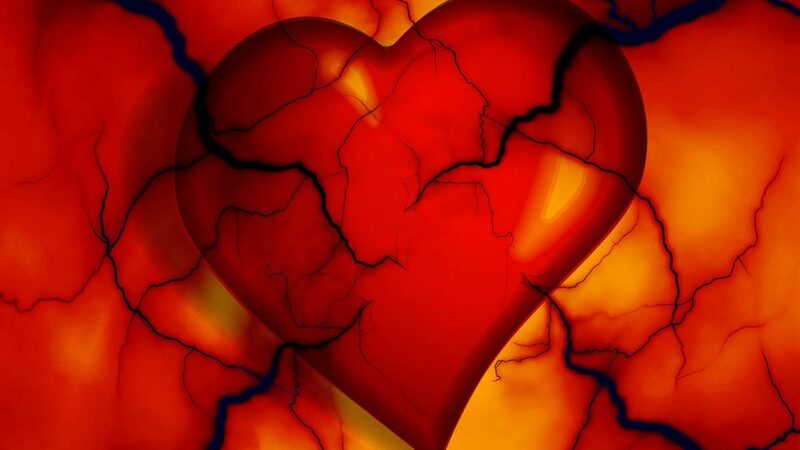 The main cause of heart failure is a chronic deficiency of bioenergy in millions of cells of the heart. The purpose of these cells is to maintain an optimum pumping function for the blood circulation. If this bioenergy is supplied in the form of vitamins and other natural energy carriers, heart failure is effectively treated by preventing the underlying problem. Heart transplants and drug therapies which only treat the symptoms of this condition become unnecessary. When Christian Barnard first transplanted a heart in 1967, this procedure was built up to a media spectacle, which was only rivalled by the landing on the moon. This important surgical technique that might be used in certain exceptional cases has also been abused to hide the true causes of this disease: chronic vitamin deficiency. The consequences for human health: in the last three decades over 100 million people died worldwide from the consequences of heart failure - a preventable health condition. At the same time, the pharmaceutical companies made millions of dollars selling pharmaceutical drugs, which are simply unable to correct and treat the underlying causes of heart failure. Joey, a former stewardess had her first heart transplant at the age of 20 because of acute heart failure. Five years later her health condition had deteriorated to the point where a second heart transplant had become necessary. This is when she started with the vitamin program we developed. After a few months her health condition had improved to an extent that the heart transplant could be canceled. Joey asked me to tell her story to everyone, and you will also find it documented in my new book, Why Animals Don’t Get Heart Attacks. Of course, there will always be a need for specialists who can conduct bypass surgery and heart transplants in severe cases. But this will be the exception. Bioenergy supply through vitamins will be the basic prevention and therapy for heart failure in the future. Today I invite you to join us in our mission to eradicate heart disease. I am convinced that the truth will prevail against economically strong, but morally weak, interest groups. The next part of my presentation will provide you with insights into the milestones we have already passed in this historic process. At that time, I was Director of Cardiovascular Research at the Linus Pauling Institute in California, and I asked the two-time Nobel laureate to support these far-reaching conclusions as co-author. Linus Pauling happily agreed, because he saw his own life’s work confirmed. This scientific sensation quickly reached the executive offices of the pharmaceutical companies. It was immediately clear that if this discovery was understood by millions of people, a multi-billion dollar pharmaceutical drug market would inevitably collapse. As a countermeasure, the pharmaceutical companies decided to form a worldwide cartel in order to prevent by all means the further distribution of this information. To implement these unethical plans, the Pharma-Cartel maintains a legion of hired lobbyists. In Washington, D.C. alone, over 1,000 lobbyists work for the Pharma-Cartel, two lobbyists for each member of Congress. The figures are comparable for Germany. The mission of each lobbyist is to influence public opinion and legislation in the most important industrialized countries. All of this in the interest of the pharmaceutical cartel; day in, day out. Many opinion leaders in science and medicine are also affected by the influence of the pharmaceutical cartel. The U.S. Academy of Science initially promised to publish the scientific breakthrough towards the “Solution to the Puzzle of Cardiovascular Disease.” Due to the influence of the Pharma-Cartel within the Academy of Science, publication was cancelled only weeks later. The following argument was given: “As there is no puzzle in cardiovascular disease, there can be no solution either.” That this unsolved puzzle continues to take every second human life in the U.S. and beyond had apparently escaped the attention of these gentlemen. We did not hesitate to publish our important publication in a Canadian Journal of Nutritional Medicine. We left no other stone unturned to guarantee the rapid dissemination of this lifesaving information. We presented this new therapy about cardiovascular disease to more than a dozen pharmaceutical companies in order to improve human health on a worldwide scale, with the help of a strong partner. All pharmaceutical companies in 1991 said, “No” with the exception of one, Hoffmann-LaRoche, the world’s largest manufacturer of vitamin C. In November, 1991, I introduced my work to the heads of research at the headquarters of the Roche Company in Basel, Switzerland. Roche immediately understood the worldwide importance of this medical breakthrough. Nevertheless, shortly thereafter they expressed that they were not interested in any collaboration. Hoffmann-LaRoche’s official reason for declining was that they do not want to finance a medical breakthrough for its competition! What a remarkable excuse! Five years later the world learned what had really happened: in expectation of a worldwide increased demand for vitamin C, lysine and other natural substances mentioned in my work, the Roche Corporation used this information for an artificial increase in the price of the raw materials for these natural substances. In addition, together with the German Bayer Corporation and the U.S. firm Archer-Daniels-Midland, Roche formed a cartel for criminal price fixing of the natural substances mentioned in our work. Isn't it remarkable that these pharmaceutical companies did not want to spend a single dime to spread the information about the eradication of heart disease? At the same time, they made sure that they cannibalized this process by selling the raw material at prices that have almost doubled the retail price for these vitamin products. On January 30th, 1997, the New York Times reported that U.S. federal prosecutors had uncovered the most comprehensive case of criminal price fixing in the history of the United States. According to U.S. prosecutors quoted in the New York Times, the dimension of this fraud was so vast that “literally hundreds of products and almost every consumer” was affected. A key witness stated that the criminal acts were designed at the highest level of the Roche, Bayer, and other corporations, and that the corporate masterminds were “the masters” whereas the subordinates who had to do the dirty work were called the “sherpas.” All three companies were found guilty. We also decided to inform the general public directly through the media. At a press conference on July 2, 1992, we presented the advances in vitamin research and the possible eradication of heart disease to the world. If the information about this medical breakthrough had not been suppressed by special interest groups for six long years, the entire world would know today that vitamins prevent heart attacks. If this information had been promoted instead of sabotaged, more than 60 million lives could have been spared from unnecessary, preventable heart attacks and strokes. At this press conference we also introduced the Rath-Pauling Manifesto to the world. With his last public appeal, Linus Pauling supported the medical breakthrough of my scientific publications. This historic appeal ended with the sentence, “The goal of eliminating heart disease as the major cause of death and disability is now in sight.” This sentence marks a turning point in medicine. This does not surprise anyone who knows that essentially all reviewers and advisors of the FDA are paid employees of pharmaceutical companies. I recommend everyone to read Thomas Moore’s book, Deadly Medicine, revealing the fact that the FDA is essentially controlled by the pharmaceutical industry. The pharmaceutical companies, realizing that the information about the eradication through vitamins could not be stopped any other way, decided to achieve their aims by simply changing the law. 1993 was also the year that my book, Eradicating Heart Disease was published in the U.S.A. It summarized the medical breakthrough in vitamin research and heart disease in popular language. Tens of thousands of Americans used this book and other studies on the health benefits of vitamins to convince their political representatives not to give in to the unethical plans of the pharmaceutical industry and the FDA. Newsweek described this fight for free access to vitamins as “the largest movement since the Vietnam war” Again, the interests of the people prevailed over apparently overwhelming economic interests. In August, 1994, the US Senate and House of Representatives unanimously passed the Nutritional Health and Education Act, a monumental law preserving and guaranteeing free access to vitamins and other natural health products. This law did not simply maintain the status quo, it also allows truthful health information in relation to vitamins to be distributed. From a historical point of view, a popular movement of millions of Americans had just inflicted the worst defeat in their history upon the pharmaceutical companies and their interest groups. More importantly, millions of Americans had won a historic victory from which all of mankind will benefit. The German government had taken precautions in case the activities of this clandestine “Codex” Cartel were revealed prematurely: the presidency of this Codex Commission was assigned to Dr. Somogyi: the head of the German federal agency for consumer protection. The politicians in Bonn were well aware of the explosive power of this commission, and therefore decided to cover up this enterprise as “ consumer protection” in order to deceive the public about the true nature of the “Codex” Cartel. We have to realize that the Pharma-Cartel and its political accomplices apparently declared war on the health and life interests of all mankind. Because the interests of the Pharma-Cartel are against the health interests of entire mankind, the battle will be fierce; therefore, the Cartel tries to force other industries behind its unethical plans by means of laws. Our answer is clear: these unscrupulous and unethical plans are not a sign of strength of the pharmaceutical companies, but a sign of desperation. The news that animals don’t get heart attacks because they manufacture their own vitamin C will bring down a billion dollar market in cholesterol-lowering drugs, betablockers, calcium antagonists, and other cardiovascular drugs. Our determined “No” to these unethical human plans is summarized in the Petition for Vitamin Freedom. I encourage you to talk with friends, neighbors, and colleagues about the Codex Commission, and let them sign the Petition for Vitamin Freedom. When looking at the global intrigues of these special interest groups, one question comes to mind: why is it that in these plans, which inevitably will endanger the health and lives of millions of people, do the German pharmaceutical industry and the German government play leading roles? Every visitor to the Frankfurt airport in Frankfurt/Main, Germany, can guess the worldwide influence of the German pharmaceutical and chemical industry. The majority of the signs at the official corporate meeting point at the airport belong to pharmaceutical companies; a kind of business card of the German industry. But this is only the surface. To understand the global key role of the German government in connection with the Codex Commission, we have to consider the close entanglement between the German government and the German chemical and pharmaceutical industry throughout this century. The most powerful German corporate imperium in the first half of this century was IG Farben, short for Interessengemeinschaft Farben. Interessengemeinschaft stands for association of common interests and was a powerful cartel of BASF, Bayer, Hoechst, and other chemical and pharmaceutical German companies. The IG Farben was the single largest donor to the election campaign of Adolf Hitler. One year before Hitler seized power in 1933, IG Farben donated 400,000 marks to Hitler and his Nazi party. Accordingly, when the Nazis came into power the IG Farben was the single largest profiteer of the Second World War and of the plundering of Europe by the Nazis. One hundred percent of all explosives and synthetic gasoline came from the factories of the IG Farben. Whenever the German Wehrmacht conquered another country, Bayer, Hoechst and BASF executives followed, systematically taking over the industries of these countries. Through this close collaboration with Hitler’s Wehrmacht, IG Farben participated in the plunder of Austria, Czechoslovakia, Poland, Norway, Holland, Belgium, France and all other countries occupied by the Nazis. In 1946, the U.S. government investigation concluded that without the IG Farben the Second World War would simply not have been possible. We have to realize that it was not a psychopath named Adof Hitler, nor the innate character of the German people that brought about the Second World War. Economic greed by companies like Bayer, BASF and Hoechst was the key factor in bringing about the Holocaust. No one who saw Steven Spielberg’s film “Schindler’s List” will forget the scenes in the concentration camp Auschwitz. Auschwitz was the largest mass extinction factory in human history, but the concentration camp was only the appendix. The main project was IG Auschwitz, a 100% subsidiary of IG Farben, the world’s largest industrial complex for manufacturing synthetic gasoline and rubber for the conquest of Europe. On March 1st, 1941, Heinrich Himmler, the Reichsführer of the SS, inspected the construction site. On April 14th, 1941 Otto Ambros, the IG Farben board member responsible for the Auschwitz project, rose to his IG Farben board colleagues in Ludwigshafen and stated, “our new friendship with the SS is a blessing. We have determined all measures integrating the concentration camps to benefit our company.” The pharmaceutical departments of the IG Farben cartel used the victims of the concentration camp in their own way: thousands of them died during human experiments such as the testing of new and unknown vaccines. The Nuremberg Tribunal divided the IG Farben into Bayer, Hoechst, and BASF. Today each of the three daughters of the IG Farben is 20 times as big as the IG Farben mother was at its height in 1944, the last year of the Second World War. More importantly, the chairmen of the boards, the highest positions in BASF, Bayer and Hoechst, were occupied by former members of the Nazi-Party for almost three decades after the Second World War. Carl Wurster, chairman of the board of BASF until 1974, was on the board of manufacturers of Zyklon-B gas during the war. Carl Winnacker, chairman of the board of Hoechst until the late 70’s was a member of the Sturm Abteilung (SA) and was a member of the IG Farben board. Curt Hansen, chairman of the board of Bayer until the late 70’s, was co-organizer of the conquest of Europe in the department of “acquisition of natural resources.” Under this leadership the IG Farben daughters, BASF, Bayer, and Hoechst, continued to support politicians representing their interests. During the 1950’s and 60’s they invested in the political career of a young representative from a suburb of the BASF town of Ludwigshafen: Helmut Kohl. From 1957 to 1967 the young Helmut Kohl was a paid lobbyist of the Verband Chemischen Industrie, the central lobby organization of the German pharmaceutical and chemical cartel. Thus, the German chemical and pharmaceutical industry built up one of their own as a political representative leaving to the German people only the choice of approval. The result is well known: Helmut Kohl has been chancellor of Germany for 16 years and the German pharmaceutical and chemical industry became the leading exporters in the world with subsidiaries in over 150 countries, more than the IG Farben ever had. Germany is the only country in the entire world in which a former paid lobbyist for the chemical and pharmaceutical cartel is head of the government. In summary the support of German politics for the global expansion plans of the German pharmaceutical and chemical companies has a 100-year tradition. It is with this background that we understand the support of Bonn for the unethical plans of the Codex Commission. Twice during this century, indescribable and worldwide grief originated from German soil. If, with the help of German politicians, the Pharma-Cartel prevails, the eradication of heart disease will be prevented, and in the next generation alone, over 500 millionpeople unnecessarily will die from heart attacks. Chancellor Kohl will receive a letter dated today in which he is asked to stop any further support of the Codex Commission by the German government immediately. If he does not comply with this request within four weeks, I will publicly demand that he be impeached for breaking his oath of avoiding any harm to the German people. The pharmaceutical industry continues to control our society. Pharmaceutical interests control medical research, and have entire health professions dependent. To maintain and secure their position of power, the pharmaceutical companies manipulate the legislation and the media. In large-scale advertising campaigns trough all media, the pharmaceutical PR and propaganda department creates a smoke screen concealing the true interests of the pharmaceutical industry. The pharmaceutical companies try to portray themselves in the light of Louis Pasteur, Robert Koch and other pioneers in medicine. They claim to be interested in the eradication of diseases in order to serve humanity. The truth, however, is the exact opposite: the pharmaceutical industry is interested in keeping diseases alive as a basis for an expanding pharmaceutical drug market. The goals of the Codex Cartel deliberately obstruct the eradication of diseases. Thus, the pharmaceutical industry does not act in the tradition of the saviourhood of humanity, but in the tradition of the IG Farben, a group of organized criminals willing to sacrifice countless human lives in order to maintain their profits. In other deceptive advertisements the pharmaceutical industry claims that the eradication of infectious diseases is their merit. Fact is, however, that the most important treatments of infectious diseases, as well as penicillin and other antibiotics, were discovered at publicly financed universities. The only credit the pharmaceutical industry deserves is that they immediately tried to use these discoveries for their own profit. Millions of people and taxpayers were defrauded: they not only paid for the research at public universities, but on top of that, they had to pay for the drugs developed with public funds but marketed by pharmaceutical companies. In other deceptive PR campaigns, the pharmaceutical companies claim that with their help, life expectancy has doubled throughout this century. However, the fact is that every medical textbook documents that this progress is the result of better hygiene and has nothing to do with antibiotics and other pharmaceutical drugs. What a lie, considering the fact that the pharmaceutical cartel is trying to ban health information for vitamins, fully aware of the fact that by doing so, they shorten the life expectancy of millions of people by decades. A further deception of the public is the campaign for cholesterol-lowering drugs. Millions of hibernating animals have cholesterol levels of 400 mg to 600 mg per deciliter, yet they don't get heart attacks because they stabilize their artery walls with sufficient vitamins wich they produce in their own bodies, or take up in the diet. The connection between cholesterol and heart disease obviously is another illusion maintained by the manufacturers of cholesterol-lowering drugs. The only thing we know for sure about cholesterol-lowering drugs is that all of them can cause cancer. In January 1996, the Journal of the American Medical Association alerted the medical community and the general public about the fact that cholesterol-lowering drugs have caused cancer in dosages close to those currently swallowed by millions of people worldwide. The pharmaceutical companies are not impressed by these facts. In large-scale TV spots and advertising campaigns they continue to sell these cancer time bombs as if they were lollipops or chewing gum. On June 23rd, 1997, Fortune magazine, one of the major Wall Street weeklies, carried an article about the health care system. It contained an interview with an investment consultant for pharmaceutical companies who claimed that “everyone loses if eradication therapy catches on.” With “everyone” he, of course, does not mean you or millions of patients. This consultant simply stated what everyone on Wall Street knows: the research and therapeutic decisions within the pharmaceutical companies are guided by the financial interests of the shareholders. The profits of the pharmaceutical companies during the past 25 years were on average 500% percent above the average of all industry branches. In other words the business with ongoing diseases is the most lucrative business in the world, and millions of people pay the bill, directly and indirectly. The exploding health care costs, paid for by the people and the patients, are nothing but the insatiable greed of the pharmaceutical companies. In the United States the Attorneys General of 34 states sued the cigarette manufacturers in order to recover the health care costs caused by cigarette smoking. The cigarette giants started to shake in their boots, and they face an ultimate fine of over $400,000 million dollars to make up for damages caused by their product. Of course, they knew all along about the crimes they had committed. If I am not mistaken, the damage caused by pharmaceutical corporations to millions of patients and to the public sector of essentially every country in the world, exceeds the damage done by tobacco several times. The most important step to change things is that we not only denounce abuses, but that we take part in constructing a new health care. Once we have liberated ourselves from the yoke of the pharmaceutical cartel, the prospects for improvement of human health are breathtaking. Within the next few generations most common diseases can be controlled and the average life expectancy can increase by ten years or more. Growing older in full physical health will be the rule, not the exception. Imagine that you live somewhere in Europe 500 years ago. Eighty percent of the people are farmers living in the poorest conditions imaginable. You cannot read or write, and every other one of your children dies before their fifth year from preventable childhood diseases. Tributes to the earthly dukes and magnates have already left you penniless. If you do not pay, says Rome, your soul will go to purgatory or immediately to hell. Millions of Thaler, the currency of that time, were thus extorted by the Roman church from their faithful believers, in the form of indulgence payments. The extorted indulgence money, of course, was used for rather worldly projects. For example, for the reconstruction and gold ornamentation of St. Peter’s Cathedral in Rome. To secure the constant flow of money, indulgence sellers regularly visited the villages and towns of medieval Europe. Their sales pitch was: “Only if the Thaler is clinking in the chest, the soul will spring out of purgatory.” Here you are, and you don't know whether you should use your last pennies to feed your children or to buy entry to heaven for your own soul. But then it happened: on October 31st, 1517, a young monk nailed 35 theses to the castle church of Wittenberg. Ulrich von Hutten, a contemporary of Luther, described the incredible feeling of liberation with the words, “What a joy it is to live.” The medieval times had ended once and for all and the liberation of the human spirit and intellect released resources in all sectors of society and made Europe the most influential continent on Planet Earth. We cannot wait another day. Today, here in Chemnitz we hammer the thesis of liberation for human health to the walls, but these are more than theses. The results of the clinical studies have already confirmed this thesis. Therefore, today we present the Chemnitz Program, which will become the foundation of a new health care approach on a worldwide scale. 1. We, the people of this Earth, are aware that at the end of the 20th Century we still have completely inadequate knowledge of our bodies and of the causes of good health and disease. Physical incapacity is today forcing millions of people into disastrous physical and financial dependency on interest groups which profit from the continued existence of disease, principal among them being the pharmaceutical industry. 2. The corporate purpose of the pharmaceutical industry is the trade in disease, not the prevention or eradication of disease. The pharmaceutical industry has a direct financial interest in the continued existence of disease as the prerequisite for the continuing growth of pharmaceutical markets. 3. The pharmaceutical industry's most lucrative business comes from those diseases that are most widespread. The pharmaceutical industry itself is the main obstacle to medical breakthrough in the control of cardiovascular disease, high blood pressure, cardiac insufficiency, cancer, osteoporosis and other endemic public health scourges. 4. The trade in disease is one of the most profitable trades there is. The profits made by the pharmaceutical industry are several times greater than the average for other industries. These pharmaceutical industry profits are the main reason for skyrocketing health-care costs. The economies of virtually all industrialised countries in the world are in the stranglehold of the pharmaceutical industry. 5. We, the people of this Earth, are doubly damaged by this state of affairs. Firstly, we have to meet the skyrocketing health-care costs either directly or indirectly. Secondly, we receive no return on our money in the form either of good health or the control of endemic public health problems. 6. In the face of express resistance from the pharmaceutical industry, a medical breakthrough has now been achieved which will lead to cardiovascular diseases being brought under control. Heart attack and stroke are not true diseases, they are the consequences of chronic vitamin deficiency - and as such are preventable. 7. Now that humanity has the unique opportunity to free itself from the scourge of heart disease, pharmaceutical companies are forming a worldwide cartel designed to prevent this happening. To achieve their aims the pharmaceutical companies are willing to accept the continuing existence of cardiovascular disease and the premature deaths of millions of people. 8. These activities have laid bare the pharmaceutical industry's true agenda for all the world to see. We, the people of this Earth, are no longer prepared to subject ourselves to the yoke of this immoral interest group. 9. We declare that the pharmaceutical industry, whose business is founded on the maintenance of disease, is unethical and incompatible with the fundamental principles of human rights. We demand immediate legal steps to ban this industry from conducting its business. 10. The intentional maintenance of disease in order to promote sales of drugs and the prevention of the eradication of disease have as a consequence the death of millions of people. In view of the scale of this crime they must be punished with the most severe penalty available under prevailing law, and further laws must be passed by the nations of the world without delay. At international level these misdeeds must immediately be pursued as criminal violations of human rights. 11. Existing pharmaceutical companies must be subjected to immediate investigation into the extent to which they have enriched themselves from the deliberate maintenance of disease and prevention of its eradication. If the pharmaceutical companies are found guilty of this crime, their assets must be seized in payment of damages to affected parties and the community generally. 12. Politicians and other accomplices who are guilty of aiding and abetting crimes of this sort must be called to account before the courts of law. 13. Laws preventing free access to and use of vitamins and other natural therapies must be repealed. 14. Above all, this programme lays the foundations for a new system of health care. As a first step, the preservation and improvement of health will be declared an inalienable human right. 15. The primary goal of the new health care system will be the prevention and eradication of disease. Vitamin research and Cellular Medicine constitute a sound scientific basis for the implementation of effective, side-effect free and economical health care measures. 16. We, the people of this Earth, declare that we will build up this new system of health care and that we ourselves will form the cornerstones of this new system. 17. The foundation of this new system of health care is the provision of comprehensive public information and education on health care issues. In every town and city, information and advice centres will be set up through which committed lay persons and members of the healing professions can contribute to the creation of this new system. 18. The training of existing health professionals will be extended and new health professions will be created with the goal of guaranteeing basic grass-roots health care. 19. Health-care education will be made a compulsory subject in schools and the further education of the public on health-care issues will be promoted at all levels. 20. Medical research and licensing of drugs will be subjected to a comprehensive system of public control. From this meeting here in Chemnitz we call upon the people of Germany, Europe and the world: support this program and implement it in your town and your country. Do it for your own health and for the health of future generations. We call upon everyone to vote only for politicians who support this program and help to fulfill it. Do not trust any politician who functions as a puppet of the Pharma-Cartel. The audience responded to the Chemnitz Program with a standing ovation of several minutes. Ladies and gentlemen, as you leave, take a deep breath and enjoy the feeling that a new era has begun. No one can accomplish the mission that lies before us, but ourselves."